Hasbro is a multinational board game and toy company and is among leading toy manufacturers in the world. Three brothers Herman, Helal and Henry Hassenfeld founded it in the year 1923. Its corporate headquarter is situated in Pawtucket, Rhode Island, but most of the company’s products are manufactured in East Asia. Brian Goldner is CEO and President of the company. As per 2009 report, it had around 5,800 employees and earned revenue of $4.07 billion. Fortune Magazine has named the company among 100 companies of 2013 as it enhanced vacation policy giving its new employees off for 3 weeks in 1st year instead of 5 years. There are currently 2 consumer reviews about Hasbro available. Share your review. We are all over the net. Our reviews touch many. From utube to amazon reviews we have found that we are a good source for true fans and collectors alike. We have heard your reason on why dotm line failed and we totally disagree. You have missed the mark, so before you go and destroy the next movie line of action figures we have decided to give you guys some serious advice. Listen to your costumers. Your dotm was a failure because they were poorly designed and manufactured cheap. We had to get the retooled leader Optimus, HA and deluxe leadfoot, Soundwave, que/wheeljack from inports and scalpers, you tried to push yet another leader class bumblebee and an Ironhide no one wanted instead of using the cost to produce what we expected and wanted, leader class Megatron and Shockwave. You shouldve made all three WEAPONIZED Wreckers and the Dreads which shouldve been voyager classes. Instead you give us this poor excuse for voyager ironhide who already incredibly made from the first movie version, megatron and a terrible Shockwave. Lets not mention that supreme class Optimus. We true collectors have had enough and feel that your more into making what YOU want than making what we want. And stick a price tag unworthy of the product yet expect us to purchase it. No!....do not make this new Optimus a voyager, a leader class is best suited. With your deluxe version use the same care and design as your greatest line....ROTF. they had everything. Absolutely the best. Keep the original 1:32scale. And if the characters are larger in the movie do the same for the figure because that's what we expect and that is what we are paying for. No more voyager Blackout, Bonecrusher, The fallen etc. And absolutely no more leader bumblebees.we are tired of it. Example Hound will be in the movie, action figure? Leader class. Please do not short change us or this line will worst than your last. 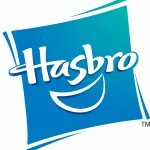 Please take a note that you are about to post a public review about Hasbro corporate office on CorporateOffice.com. This review will be public, so please do not post any of your personal information on this website. If you would like to contact the corporate offices of Hasbro, please use their contact information such as their phone number, website, and address listed above to contact them. However, sometimes staff from Hasbro headquarters do read the reviews on this website.